This entry was posted in Quant Analytics and tagged bond, Deep Learning, Pricing on November 6, 2017 by caustic. Market pricing in Trump risk? This entry was posted in Stock News and Tips, Trading and tagged market, Pricing, risk, Trump on January 31, 2017 by caustic. Let’s give you some insight, I’m a engineer, used to work with car production, and now unemployed for about 1 year and a half. Most of the past year I spent learning about trading, but the results were not so good. Another great testimonial from a new quant members over the last few days. Seriously Shall I say anymore? 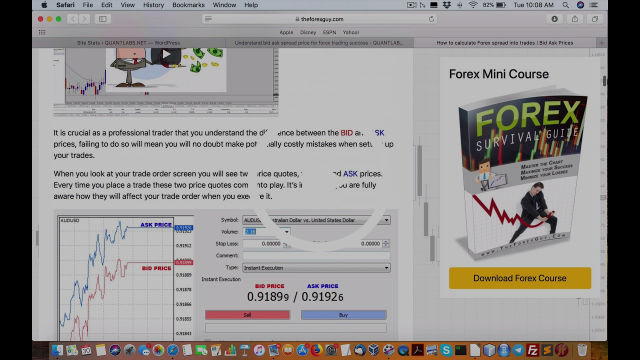 Trading is my fuK*Cing business…and business is good! You realize that those of us to took you at your word feel a bit silly. For those unable or unwilling to ‘budget for your site’ they had almost 60 days to do that. To give them another week without penalty is just them whining. You are right to extend your deadline… but don’t give them 50% discount… give them only 40%… somehow they should be paying more… just my 2 cents. NOTE: There are 2 days left to get your questions in! This entry was posted in Premium Membership and tagged analytics, discounts, elite, Pricing, Quant on January 17, 2017 by caustic. This entry was posted in Quant Development, Trading and tagged auto, Manager, Meet, position, Pricing, stop loss, target on December 16, 2016 by caustic. For those that are interested in long term automated trading success, please read. I will be removing all generous bonus offers beyond a year. That time has now come upon us. I am doing this to remove extra content as I do my product/service reset in a couple of months. Do note that this is the first notice of the final removal of all extended bonus offerings in my Quant Elite membership. There will be one last final notice going out tomorrow to close these page offering links after Thursday. That is less than 48 hours away! B. There are too many software demos gems with source code to list here but you can see my detailed video here. Do remember that this will all be removed in a couple of months so this availability has a limited shelf life. C. As I mentioned last week, I will be doing potentially full day two live separate workshops on demonstrations of integrating your programming with Interactive Brokers TWS with Redis and Java. I am also hoping to do another with Apple IOS Swift front mobile apps for charting development. You will of course get access to both of these! These will be one time only as LIVE events. If you really want to learn something that is very unique in jump-starting your trading infrastructure and knowledge, this is a membership you should consider. As I mentioned above, I made a 30-minute video that lists all the hidden gems I usually don’t promote online. It is that exclusive! It is too much to list here but I will say this, it will all vanish within months forever. Everything mentioned is on a countdown to go bye bye. Do note that many of these techniques will be used to leverage my upcoming analytics service to be released in a few months. So when that happens, this was the technology that drives many of the reports, charts, and other data analysis you will see in this new service! Once again, this will be your last chance to get access to this content. Lastly, do remember that this will be the absolute last time you’ll have these bonus extensions offered beyond a year! Not only that, I will be removing all of the hidden gems in this membership which has been described in the video above. This will take place within a few months! This entry was posted in Quant Analytics and tagged commodity, how it affects, Intertemporal, market, Pricing, Storage on October 3, 2016 by caustic.